WIN Network has now executed agreements to acquire Southern Cross-owned northern NSW operations, as announced in March. Northern NSW covers an area from Queensland’s Gold Coast through to the Central Coast of NSW and west to Narrabri and Gunnedah including Bellingen, Tenterfield, Lismore, Armidale, Tamworth, Taree, Inverell, Coffs Harbour, Byron Bay, Evans Head, Singleton, Casino and Newcastle. 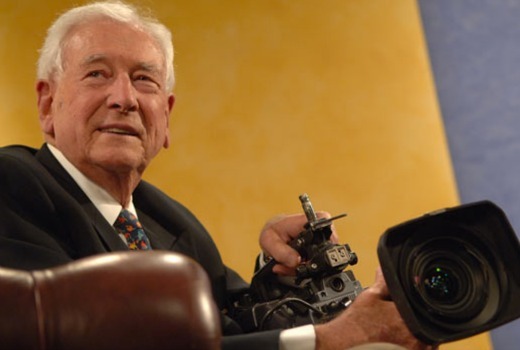 WIN boss Bruce Gordon said, “WIN has been dedicated to regional Australia for decades and the one missing piece of our regional broadcast area has been northern NSW. 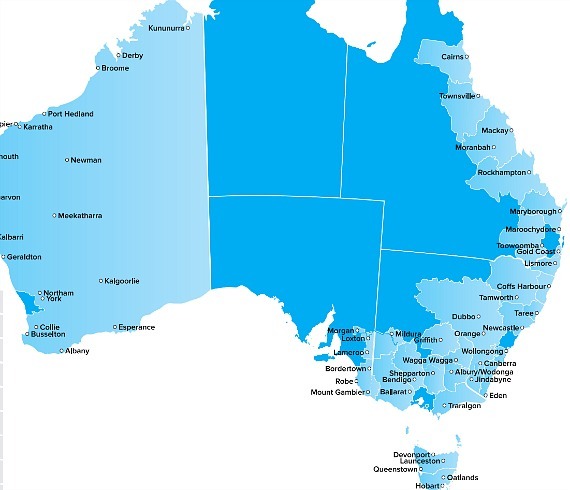 WIN’s position as Australia’s largest regional network is cemented with this increase in broadcast area. “The purchase from SCA means no change to the programs that viewers will see on their televisions in northern NSW, but they will see the WIN brand and a greater commitment to their communities. Ingrained in the WIN psyche is that part of our responsibility as a broadcaster is to ensure we also support our communities which we are looking forward to doing. WIN’s footprint now a potential viewing audience of 8,017,300 million. The change takes effect from May 31st. Win will face a uphill battle, to establish it’s brand in Northern NSW. I honestly think, that Win will work relatively quickly to establish a better news structure for NRN, than what currently exists (which is 2min updates (with no video) throughout the day in most markets). The potential prize in launching a 1/2hr local news in Newcastle (where NBN’s hourlong news is unopposed) and a local news for the Gold Coast at 6pm (possibly a Win/10 J/V, to potentially compete with 9/9NBN and 7 on the GC), is tantalizing. However, I will not be surprised, if one day soon, Win makes a offer for the Brisbane, Adelaide and Perth metro 10’s: especially, if news bulletins in the smaller 10 markets are under threat of the axe in the long term… BNE/ADL/PER can be done by Win, without govt. changing the current reach rule: a change in reach rule is needed for Win to buy 10 Sydney/Melbourne. Good news for me personally. I’ll be able to see news from the old home town Taree on WIN’s All Australian News here in Canberra. But Bruce, you haven’t been spending dollars on existing infrastructure at WIN….. I seriously question what he’s doing with equipment that is 16 years old now… and the $ amount it will take to upgrade… or will he finally change his news model, to save money. This is a Win-Win Solution for NNSW. Newcastle, Northern Rivers, Tamworth Regions will get WIN News once SCA switches to WIN. That’s fantastic news for WIN. Bruce Gordon is a smart operator poor old nine who paid 250 m for NBN same coverage area that WIN now has for 55m .once the media laws change it wont be long before Gordon buys TEN out then it will be nine seven and WIN. Heads up Northern NSW, you’ll see a huge map of Australia in the bottom right corner of your TVs now. I wonder if Bruce’s ideology will go from WIN once he’s gone. So about 8 million people now have any TEN programming, that they actually still watch, ruined by WIN’s insistence on placing large opaque coloured blots on the screen in a desperate attempt to pretend that they aren’t simply carrying programming ‘live’ from another network. I’m not sure that’s anything woth being celebrated. $55M. Yet Nine paid $250M for rival NBN Newcastle eight years ago. Smart to take WIN Radio out of the deal. “WIN will be on its own if TEN goes broke and off air”. TEN has “gone broke” several times but never been off the air. WIN went broke once, rescued by Rupert then Bruce, but never off the air. TEN’s $200M debt due to Bruce Gordon (and Lachlan & Packer?) will come into play soon and the Media changes likely will make for interesting times at TEN, and WIN. Difference now is the value of assets (including licences which are losing value by the day) can’t possibly cover costs and outstanding debt anymore unlike in the past. Therefore they would be legally obliged to close down the business and cease operations and indeed go off air if it got to the point if outstanding liabilities not being able to be recovered in a sale off assets. The key here is the collective book value of the all commercial TV licences which 25 years ago when TEN went broke last time were valued into the billions, which is nowhere near the case now. It was the book value of the licence that kept TEN on air before, is very arguable to not be the case now. Some new seating arrangements for the lifeboats on FTA Titanic. The loss of guests at every port doesn’t make it easier to steer, just less attractive to salvage. The cinema has been converted into another Karaoke bar and some destinations now require both an entry ticket and a ferry pass. Fuel costs have been reduced but there are more reliable and faster ships in the sea-lane. Cue the forcing down of the WIN blobs plastered like a stain on the screen down viewrrs throats from May 31. If the Fed Govt media changes dont go through, WIN will be on its own if TEN goes broke and off air. SCA appears to have done the right thing for itself, with the viewers left behind. Can see a strong bond forging with Ten and WIN over time. WIN may be in hunt for a Ten takeover as well if laws change.